An invalid for most her life, Alice James is quite used to people underestimating her. And she generally doesn't mind. But this time she is not about to let things alone. Yes, her brother Henry may be a famous author, and her other brother William a rising star in the new field of psychology. 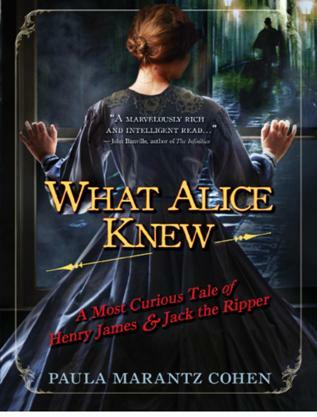 But when they all find themselves quite unusually involved in the chase for a most vile new murderer—one who goes by the chilling name of Jack the Ripper—Alice is certain of two things:No one could be more suited to gather evidence about the nature of the killer than her brothers. But if anyone is going to correctly examine the evidence and solve the case, it will have to be up to her.